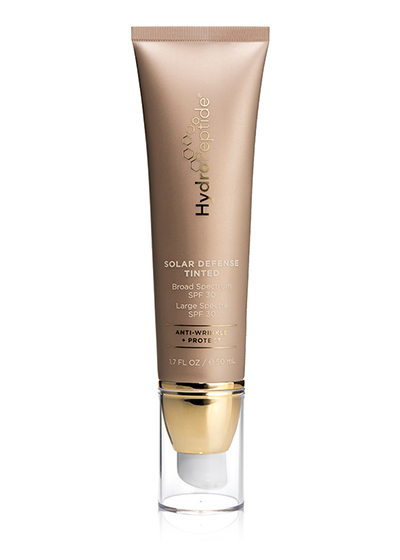 This Non-greasy sunscreen self-adjusts to the color of your skintone offering light weight flawless coverage, while anti aging elements hydrate, protect and help clarify the skin.Titanium Dioxide and Zinc Oxide, physical blocking sunscreens, offer broad spectrum protection against UVA and UVB damage. Acai and Green tea help to protect against free radical damage that leads to fine lines and wrinkles. The color adjusting spheres camouflage minor imperfections while promoting a clear complection. Matte, Tinted finish for a luminous glow.